Garrett Green rides Hookasaurus to win Marwayne. PBR Canada photo by Covy Moore. MARWAYNE, Alberta -- Garrett Green of Meeting Creek, AB earned his first win of the 2017 PBR Canada Touring Pro Division season on Saturday night at the Marwayne Arena. Green put together scores of 82 on Fired Up Freddy from Flying Four Bucking Bulls in round one and 84.5 on Hookasaurus from event hosts the Wild Hoggs in the finals for a total of 166.5 on two bulls. Green edged second place Jared Parsonage of Maple Creek, SK by three and a half points. Green went home with nearly $4,000 in earnings and 60 points towards the PBR World Standings. Parsonage picked up over $2,700 and 30 points thanks in part to an 84 on Open Season from the Wild Hoggs in the final round. Cadogan, AB's Lonnie West put up the top score in round one, 86 points on Finning Deja Voodoo from Flying Four Bucking Bulls. West wouldn't connect in the finals however to finish in the third spot and take over the number one spot in the PBR Canada National Standings. Rounding out the top five were Ponoka, AB's Zane Lambert and Tim Lipsett of Lumsden, SK. Thompson Rodeo's Stitches in Time took home top bull honors dispatching Tim Lipsett for the Jensen Silver buckle thanks to a score of 43.5 points. Official results from the 6th Annual Marwayne PBR presented by Garnier Custom Silaging on April 8th, 2017 in Marwayne, AB. Round one: 1. Lonnie West on Flying Four Bucking Bulls' 141 Deja Voodoo, 86 points, $673.20; 2. Zane Lambert, 85, $504.90; 3. Tim Lipsett, 83, $336.60; 4. Garrett Green, 82, $168.30; 5. (tie) Tristan Carlier and Jared Parsonage, 79; 7. Todd Chotowetz, 64.5; no other qualified rides. Finals: 1. Garrett Green on Wild Hoggs' 21 Hookasaurus, 84.5 points, $925.65; 2. Jared Parsonage, 84, $757.35; no other qualified rides. Aggregate, total money and points earned: 1. Garret Green - Meeting Creek, AB - 166.5 points on two bulls, $3,805.29, 60; 2. Jared Parsonage - Maple Creek, SK - 163, $2,743.29, 30; 3. Lonnie West - Cadogan, AB - 86 points on one bull, $1,873.74, 20; 4. Zane Lambert - Ponoka, AB - 85, $1,312.74, 15; 5. Tim Lipsett - Lumsden, SK - 83, $830.28, 10; 6. Tristan Carlier - Medicine Hat, AB - 79, $336.60, 5; 7. Todd Chotowetz - Major, SK - 64.5, $258.00. 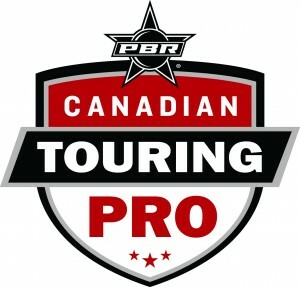 The 6th Annual Marwayne PBR presented by Garnier Custom Silaging was stop number three on the 2017 PBR Canada Touring Pro Division. Next up is stop number four in Prince Albert, SK on May 5th and 6th for the Clunie-Cooper Memorial PBR.